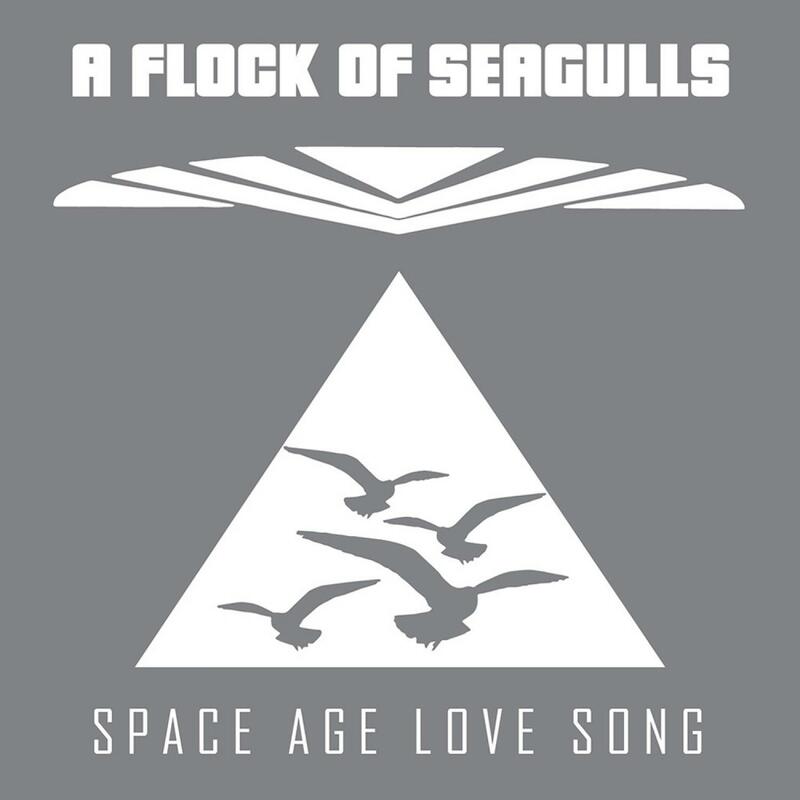 "Space Age Love Song (Special Edition)"
In the words of VH1 'A Flock of Seagulls is a Band Reunited'. For the first time since 1984, all four original members of the band appear on Record together for their new album "Ascension". The recording puts a new and unique spin on their greatest hits by performing orchestral versions with the Prague Philharmonic providing extra musical backing. "Space Age Love Song" is the first single from that album. Mike and Ali moved to the US shortly after basing themselves out of Pennsylvania. The band now as a trio released the album 'Dream Come True' in 1986. Ali and Frank left in the years afterwards. Mike released the 'Light At The End Of The World' album in 1996. A Flock Of Seagulls never really broke up. Mike carried on touring with session musicians and quietly, surely and steadily the folk lore surrounding the band began to grow. The references in culture from TV (Ross's Haircut in Friends), Computer Games ('I Ran' was the standout track on Grand Theft Auto Radio), Film (The band and haircut are referenced in Pulp Fiction, the music is in X-Men, La La Land and The Wedding Singer) cemented the bands reputation and brought the band to a whole new legion of fans. As a taster to the album we are really pleased to be presenting a 8 track single of 'Space Age Love Song'. Despite 'I Ran' being their biggest hit 'Space Age' is the most requested track at gigs and in a recent poll of fans the one they most wanted to hear again. The new orchestral version includes the 50 piece Prague Philharmonic Orchestra at their finest. Next up the music is stripped back and made more electronic with the 'dub version' which sounds one part Depeche mode, one part dance floor 1985 and one part seagulls magic. Irish synth trio Tiny Magnetic Pets are next up their rework of the classic. They skillfully mix their 21st century synth pop groove, some sly breakbeats and even some new backing vocals for a masterful version. Their alternate mix also explores new territory. To round off the EP we also feature the Radio & Video Edits version and the 'Orcapella' which lets the orchestra shine in all its solo glory.